Omatsuri means festivals in Japanese. Okonomiyaki and takoyaki are very popular at festivals. They are also eaten at home on casual ocasions. 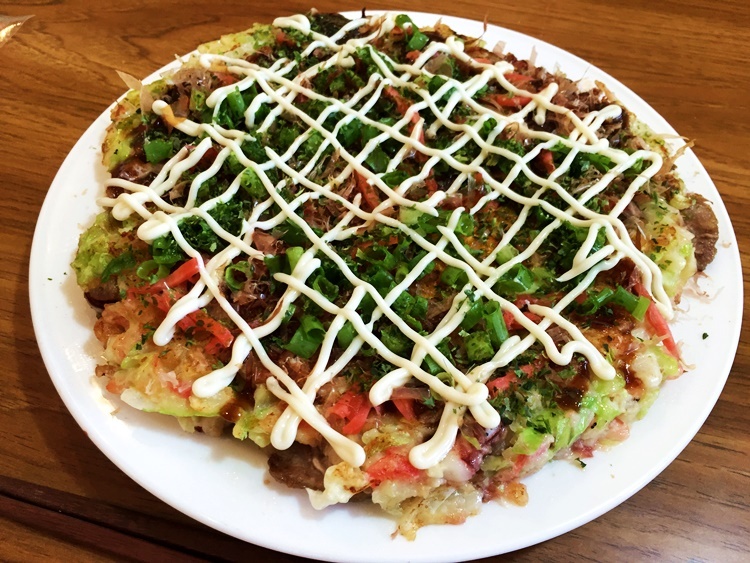 Okonomiyaki is a savory pancake which has cabbage and some seafood or meat. Okonomi means “cooked as you like it” in Japanese. So we add various kinds of ingredients like pork, shrimp, squid,octpus, oyster and so on. I will choose some seasonal ingredients for you. Tako means octopus in Japanese. 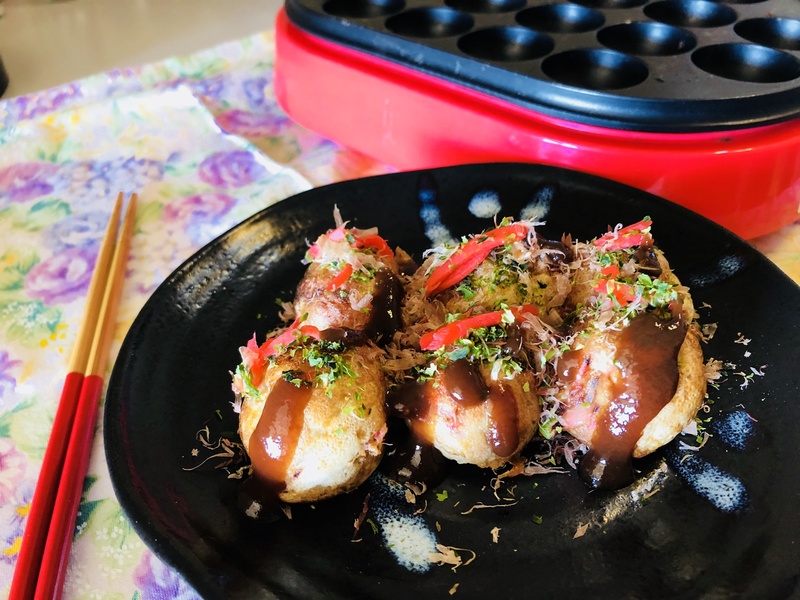 Takoyaki is a round ball and it has octpus inside. We have a special machine to make those round balls. It is a little tricky to turn them over, but you might enjoy it!